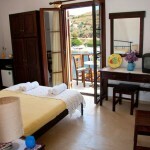 Lykomides rooms is a family run accommodation located in the village of Linaria which is the port of Skyros. 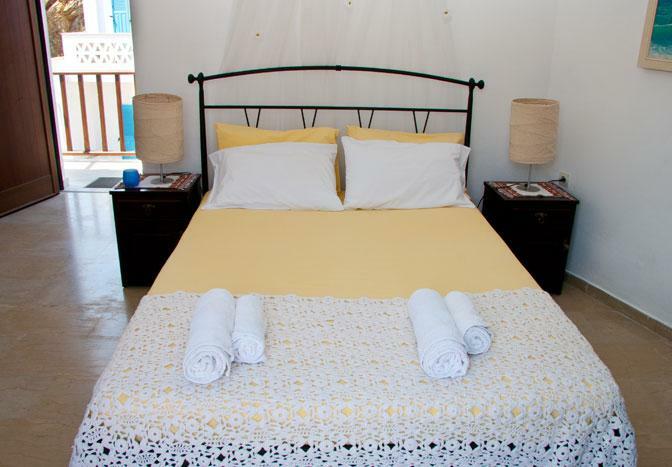 It features rooms with verandas that has a superb panoramic view of the harbor which is built amphitheatrically. A short stroll from the rooms one can find places to eat, bars, mini markets and stores. 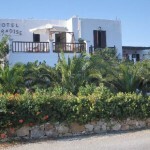 Easily accessible from Linaria are the beach locations of Acherounes, Kalamitsa and various others. 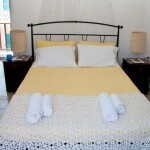 The rooms are furnished with dark wooden beds or iron beds, plus are equipped with air con, TV and refrigerator. They include a private bathroom with hairdryer. 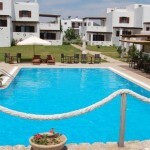 There is also free Wi-Fi available for guests. 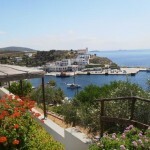 Linaria village in Skyros is a destination for all seasons! During the summer months you can make excursions by caique or perhaps your own boat in the beautiful little islets that is all around the island, go swimming in amazing clean beach locations and discover inaccessible caves. In the winter months you can enjoy hiking and throughout the carnival period have some fun and swing in the Skyros Carnival that is famous all over Greece. 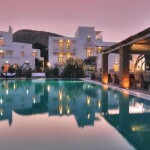 Finally the unique Skyros Pony deserves your attention since you will not see it in any other place of the world! 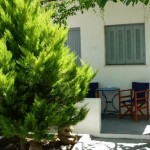 Skyros Town (Chora) is 12km away from Lykomides, whilst the airport of Skyros is 25km. At reception you can ask to organize that you can rent a car and explore the island’s beach locations, like Molos beach and Magazia beach at 14km away. Within walking distance from the rooms you can find free public parking. 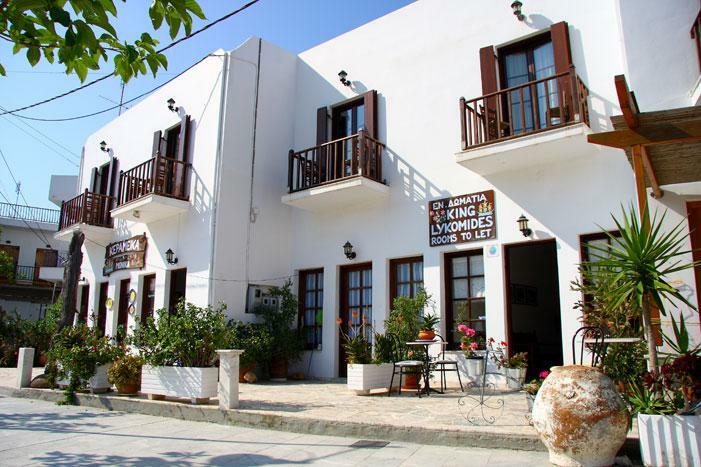 If you would like to read some reviews of Lykomides Rooms by guests who have actually stayed there, simply click the link below and read about some experiences of guests who have stayed there.